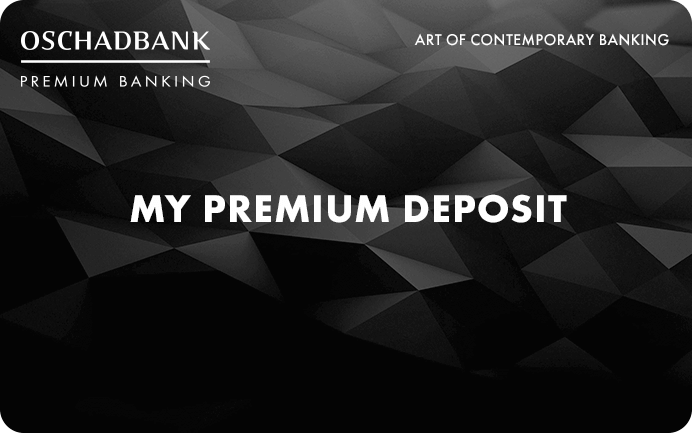 Opportunity of preterm deposit return till the end of a deposit account placing date on preferential terms. 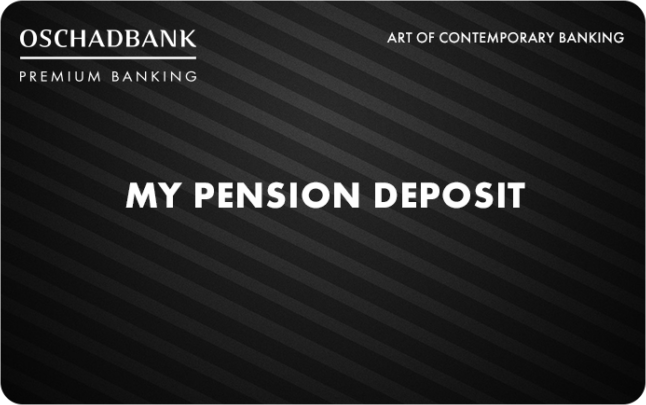 It is also possible to place a deposit account on the terms of the bank products “My deposit”, “My progressive deposit”, “My pension deposit”. Find out more about the best conditions of saving and multiplying the funds. Unique offer is for premium-clients. Making a payment card of premium class based on the tariff package “My comfort” with a 50% discount from the package cost. 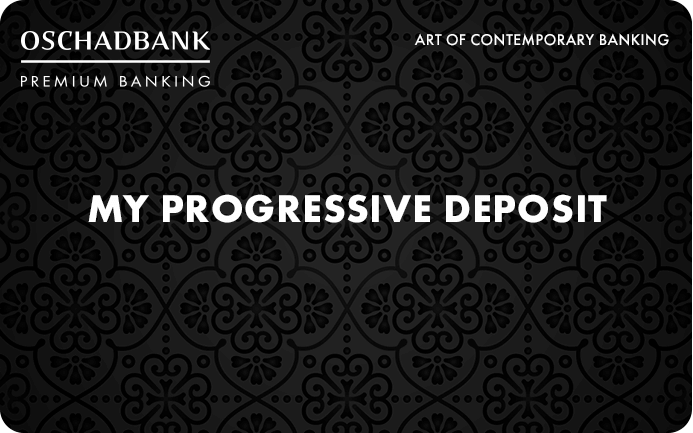 Opportunity to replenish and auto prolongation. 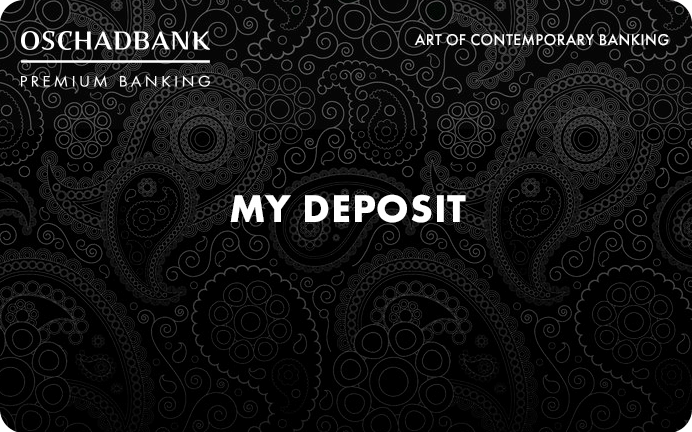 Increase of bonuses and interest rate of a deposit is within 11 prolongations.